It’s easy to find a great demo vocalist in Nashville, but finding the RIGHT one can be quite a challenge. At The Record Shop, we make the process easy. Many Nashville recording studios utilize a short list of vocalists who can emulate a range of styles. 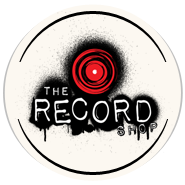 The Record Shop offers a comprehensive team of vocalists who individually specialize in a specific genre and style. This approach allows you to choose a vocalist who can effectively, and authentically, capture the direction of your song. We start by listening to the work tape of your song and discussing the type of vocalist that you are looking for. We don’t just ask what genre and bring in the first available vocalist. We take the time to learn the specific style, emotion, and character that you are looking for. Once we have an idea of the direction, we will provide you with a list of vocalists to choose from. When you select the vocalist, we will have them record a “scratch vocal” of your song for you to approve before we schedule the session. Once the session is scheduled, we will send the worktape to the vocalist so he/she can learn the song before the session. This extra step saves our clients valuable time in the studio. It also allows the vocalist to focus their performance on the vibe of the song rather than trying to learn the parts as they record. Our approach to recording a vocal demo is no different than how we produce a record. We strive to capture the right combination of precision and emotion that will engage the listener in the way you envision. Many Nashville recording studios will have the vocalist sing the song top to bottom a few times, fix a line or to, throw a tuner on it, and move on. We take more of an in-depth approach. Depending upon the style of music, we will either focus on the song in sections or as one complete performance. In either approach, we begin by recording multiple takes until we feel that we have the desired performance. At that point, we listen back to each take, pick out the best parts of each section, and comp those parts together. Once we have the vocal comped, we then go back through and fix any spots that can be improved. If the song calls for additional layering or background vocals, we will add those as well. Once the vocals are complete and approved, we naturally hand tune each line as necessary. Upon completion of the session you will receive a rough mix of the demo, the final vocal files, and all of the additional vocal takes. Our goal is to make every demo sound and feel like a record. If you want to hear what your song will sound like at The Record Shop, send us a message here! !